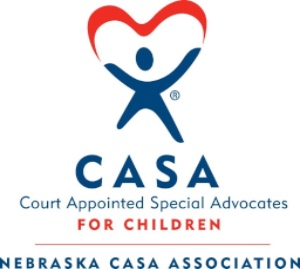 Nebraska CASA Association partners with 21 local programs serving 48 counties to recruit, screen, train, and support volunteers who advocate for abused and neglected children. $25 provides a new volunteer with their training manual. $35 covers the cost of a background check for a volunteer. $100 pays for the cost to recruit a volunteer to advocate for an abused or neglected child. A CASA volunteer had been assigned to 2 siblings who were both under the age of 5. The children had been removed from their home due to neglect. Their mom was an addict and not caring for her children. The neglect was so bad their safety was in danger. After months of the children residing in foster care and mom seeming to comply with court orders, the children were returned home. Their mom had been in counseling and her drug tests were consistently negative. The case was going to be closed soon. But the CASA volunteer still had concerns. She dropped by the home to do a surprise visit. What she found broke her heart. The children were unfed, unsupervised and miserable. Their mom had been defying her drug tests by huffing inhalant drugs. She was still using and had left her children uncared for because she was so high she could barely move. No one knew how long these small children had been left to care for themselves. The CASA volunteer's discovery led to the case not only being kept open, but the children were placed into safety.